The third future hack scenario deals with “disrupting a country through its smart meters.” Arthur envisions a day ahead, maybe in winter, when the power goes off for no apparent reason. You look out the window to find the entire city in the dark. There were no warnings. What happened? Possibly an attacker broke into the smart meter system and issued an order for all utility meters to disconnect from the power grid. At the same time cryptographic keys for each meter were changed or wiped clean preventing the meters from ever being reset or reconnected to the grid. Every “smart” utility meter would require replacement. How long would that take? Arthur in his book concludes that “future nation-state attacks are likely to seek out connected infrastructure.” It is “far easier to help your opponent’s system fail than to attack them directly.” One way to inflict considerable harm would be to target smart meter systems and where every smart meter (millions and millions) would have to be replaced in order to repair the damage. I just don’t understand how utility companies can continue to ignore this risk. 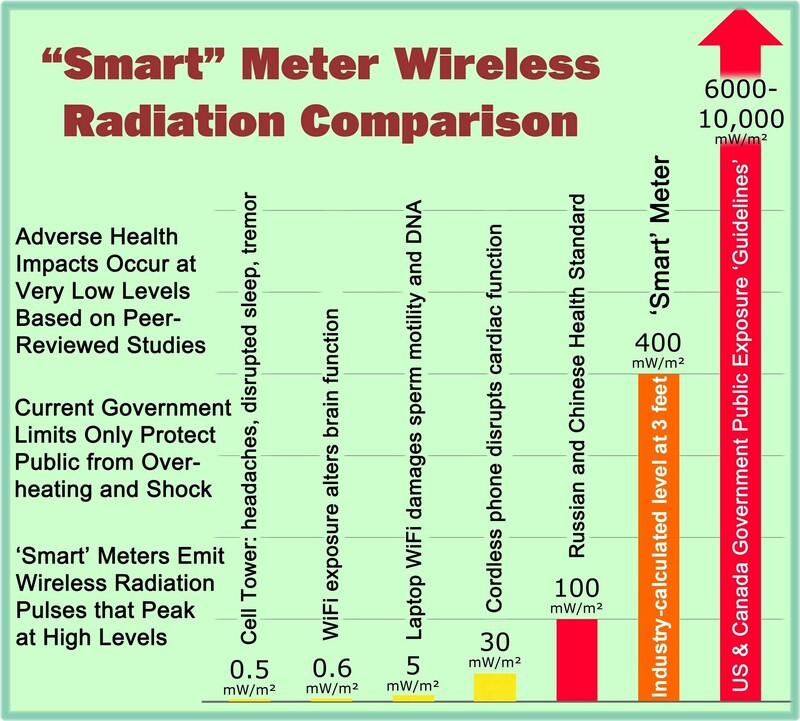 As part of basic risk management, there is a point where purported benefits of smart meters clearly cannot outweigh the catastrophic risks that the meters present to society. But alas, I have said this all before. Cyber Wars, Hacks that Shocked the Business World, by Charles Arthur, Kogan Page (publisher), 2018, Paperback, 248 pages. This entry was posted in Smart Grid, Smart Meters, and RF Emissions and tagged Cyber Attack, Cyber Threat, Remote Disconnect, Smart Meters. Bookmark the permalink. What might be even a bigger issue than the tens of thousands of individual smart meters destroyed would be the destruction of the utility’s central electrical generating equipment. It would be destroyed nearly immediately when all the smart meters went out (since running it requires pretty much the exact same input as output), and it would take many months to build a new one, since there are no backups already made. Of course, then again, it might not make much difference since we’d all likely be long dead either way. I wrote the article somewhat simplistically based upon the information in the book, but yes there would likely be significant damage throughout the electrical grid. In the United States the actual scenario would likely involve a couple of major utility company smart meter systems being attacked simultaneously. Because of the inter-connectiveness of the overall grid, there would then be a domino-like effect that would take down major portions of the grid across the country. In smaller countries where you have one major utility company, like France, a whole country could likely be disrupted based upon an attack upon one utility company.